Is your skin dry, dehydrated, sensitive, dull? Are you looking for a corrective treatment or relaxation? Don’t worry if you don’t know which facial you should choose… Oana will tailor your treatment according to your skin’s needs. With her Knowledge, selected products (premium skincare brands), the latest technology, and healing touch (hands-on facial massage) she will make you love the skin you’re in! Come in and experience it for yourself! This treatment gives you the power of a little relaxation, and rejuvenation. It includes cleansing, Bio-cellulose hydrating mask plus décolletage and facial massage resulting in moisturized, glowing skin. A thalassotherapy inspired treatment that helps revitalize the skin and restore its velvety feel. 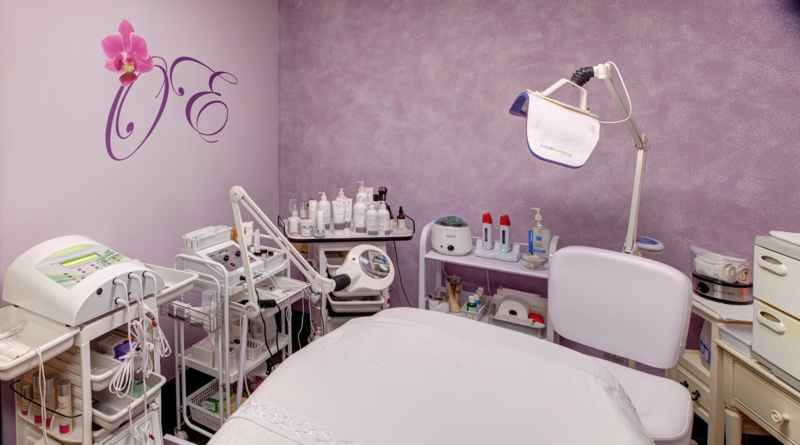 It includes a welcoming digit-pressure massage, makeup removal, gentle exfoliation and a Thalgo signature massage. This helps release tension and relax facial features. The facial ends with a marine double mask which is highly concentrated in sea minerals and trace elements. A customized treatment using medical grade products based on your skin condition as well as any particular concerns that you may have. A hands-on facial that has it all: double cleanse, deep exfoliation, extractions (as need it), infusion with the freshest, most active forms of Vitamin A, C, antioxidants, growth factors, hyaluronic acid, and peptides using galvanic current or ultrasonic, complex European facial massage techniques, followed by a soothing Alginate mask that restores the pH to normal levels and physically obstructs trans-epidermal water-loss thus promoting hydration of the skin. This bespoke treatment takes your skin on a journey to perfection. It has the best of everything: science based products, blast of serums, European sculpting, lifting massage techniques, and a plethora of clinically proven modalities. 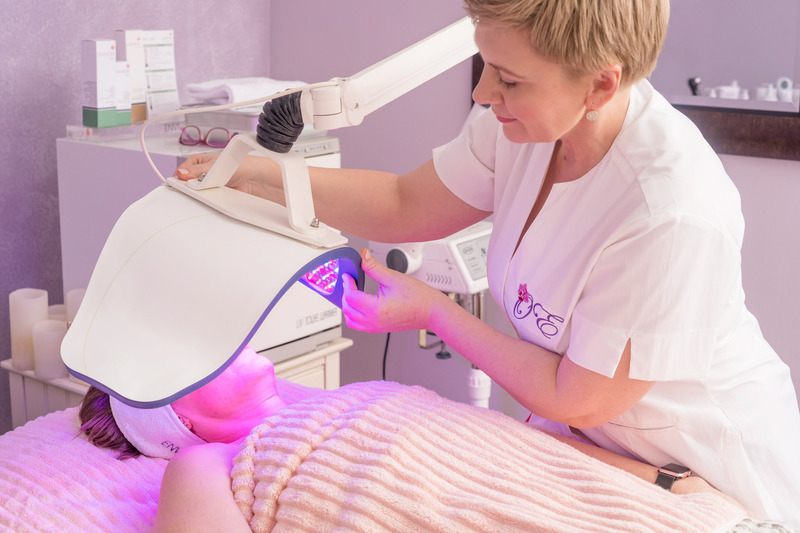 LED light therapy boosts collagen production, Galvanic current and Ultrasonic enhances the penetration of vitamins, and peptides, Nue 200 micro-current for lifting and tighten effect. The treatment will be finished with a customized mask and cold therapy. This non-invasive treatment, also called “non-surgical face lift” uses specific bioelectric signals to diminish the appearance of fine lines, creases, and wrinkles while revitalizing and hydrating the skin. An essential treatment for re-educating the muscles and to firm, and tighten sagging skin. It also reduces inflammation and toxins, and improves blood circulation. Results are cumulative. increasing the firming and lifting effect with each session. For optimal results a series of 6 treatments are highly recommended – two treatments per week. Environ has a variety of peeling systems, using acidic creams and gels instead of using acid solutions. These peels preserve as much epidermis as possible while at the same time, getting the safest effective concentration of hydronium ions into the dermis. These peels are designed to preserve the architecture of the skin simultaneously stimulating the fibroblasts in the dermis to increase the quantity of collagen in the dermis. Environ peels are an ideal way to treat acne that has not responded to prior simple treatments. Rough skin will respond very successfully to peeling and skin that is in need of hydrating also wrinkles and fine lines, rosacea, and solar keratosis (known as age spots). To achieve greater results series of 4 peels are highly recommended – 1 treatment per week. Increase the effectiveness of the Environ Skin Care products with the Cosmetic Needling (Roll CIT). This tool helps the penetration of vitamins into the active layers of the skin, which will assist in healthier looking skin. This Cosmetic Needling (Roll CIT) can be purchased at the studio and used during the facial treatment and at home in the daily or weekly skincare regimen. Call us for more info and price.